Picked up my new injection blocks from the shop today, they look every bit the Aerospace quality you would expect in Huntsville AL! Bore is tapered from 40mm to 38mm. FINALLY we are nearing the event I've been waiting on now for over 2 years, adding big power to the gray slant! Only thing left is to finish the headers which are custom for this build, tapered bore as well to maximize velocity on the trip from the head port to the turbo. 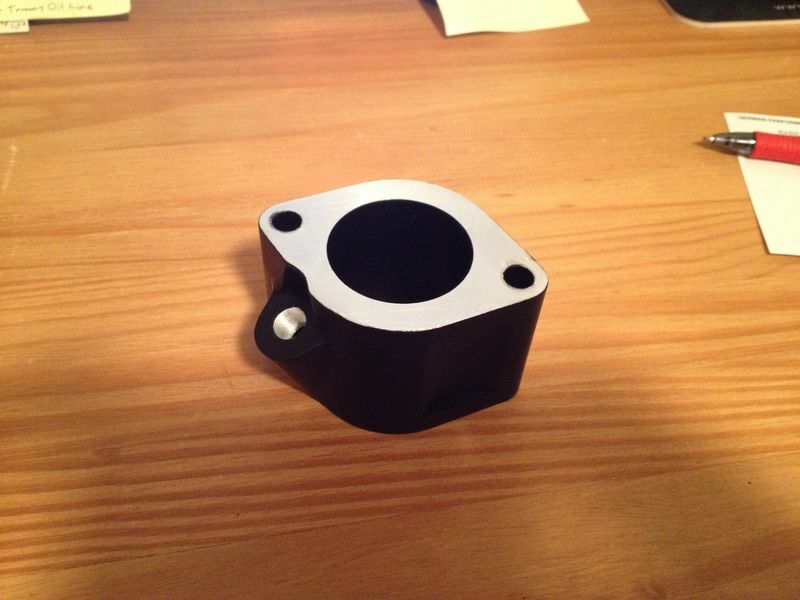 I solved my cam choice by going with a custom grind that will work with the exhaust as well. Very exited! I don't see any threads for cis injectors in that block, efi?? Threads are there, the picture is a little muted looking. Staying CIS and planning to take it way beyond stock specs. Ahhhh the Huntsville area, used to get down that way quite a bit.. Rucker, and Redstone. Looking fwd to more progress. Both my son and now my daughter attended college right across the street from the space and rocket center. It's an amazing town with brilliant people everywhere. I have friends who piloted the SR-71 and others who designed and built parts that put the space shuttle into orbit. The aerospace machinists have some incredible equipment at their disposal. NLA parts are not an issue when the shop is restoring a 356 or machining a 1/2" perfectly balanced spacer for a set of 13.25" Fuch 3-piece wheels. Everything looks like jewelry with crazy tolerance levels. Unfortunately it is too expensive to be practical, but hey there isn't much practical about a high powered 930 anyway so what the heck! This is the build I have been waiting for years to do and I'm really exited about it. You never do it alone as no one was born knowing these things, I am blessed to have so many knowledgeable folks helping out. Glad to share it with you guys, many who have been there and done that. Luccia appears to be back! Gorgeous day today so I thought I'd go for a drive. Haven't had the 930 out sense the fuel relay debacle (see thread on the usefulness of fuel pressure and AFR gages). Fired 'er up and off we went. I had just done some WUR tweeking so I was watching the pressure and AFR gages. Cruise was 14.7:1 so I was happy. Car was running really well in the cool morning air. Got to a stretch of highway and smacked the loud peddle. She cam on full song and planted me in the seat then POP-POP!! power was abruptly cut which slammed my teeth in the windshield. What the hell was THAT! Felt like I hit the overboost limit. I slowed down and looked at the gages them smacked the throttle again. Same thing, POP-POP!! and teeth in the windshield. I was looking at the boost gage and it only hit 10PSI so no overboost. Well that's a head scratcher. I turned around and headed home. When I got within a couple blocks I though I'd try it one more time and see if something exposed itself. Hit the loud peddle and she shot off like a rocket, hit redline shift and back in boost. No drama just thrust. Now I'm at a loss. Drove the rest of the way in high gear to cool off the turbo. Pulled in and drove up the drive then clutched to stop in front of the garage and the engine died! Just a dead cut like you hit the switch. The fuel pumps were still running and the fuel pressure was normal. My first guess is the CDI has bit the dust. I have (had) a spare good one that I use for troubleshooting but it has been claimed by an SC with a dead CDI so I couldn't do a quick and dirty check. Anyone out there ever experience a similar circumstance? I've seen CDI's fail before but this is kind of odd. I jumped in this evening and hit the key just to see what would happen and the starter just spins. The sad look of a dead 930, at least she died at home! If you have an inductive timing light, you could hook it up to one of the plug wires to see if High Voltage is triggering the light while the engine is turning over. Quick and easy check... ground the overboost signal sensor wire and see if she starts. I assume you are not hearing the CDI whine with the key switched to on? Has this happen to my 930S years ago on the track. Finished the DE with the sensor wire grounded and everything was fine. Bryan, the other thing you may check, and this one is bizarre, is the blowoff valve. When I was going out in a test drive after my rebuild, the situation occurred that you experienced. I found that the blowoff valve hadn't been secured. 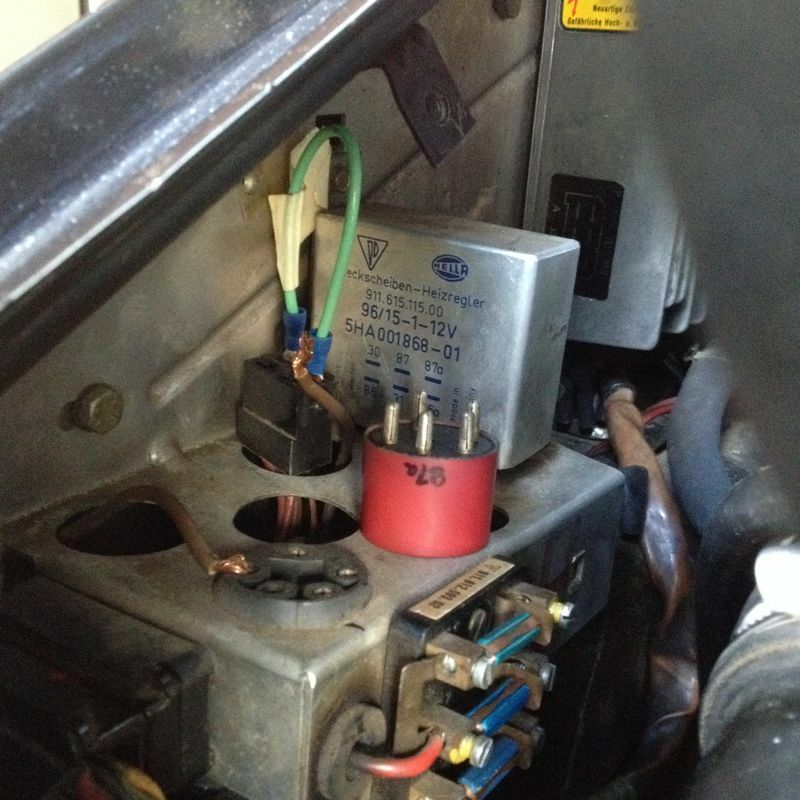 The engine vacuum kept the valve in place in the 965 elbow off the metering plate assembly. When a sudden throttle closure occurred during high boost, the blowoff valve pressurized the chamber and actually raised the valve out of its socket. The stiffness of the pressure line and engine vacuum returned the valve back to the socket. Eventually, the valve became lodged out of its socket and the engine would not start. A late-in-life epiphany - I know others have "Been There"
...Gorgeous day today so I thought I'd go for a drive. Haven't had the 930 out sense the fuel relay debacle (see thread on the usefulness of fuel pressure and AFR gages). ... Got to a stretch of highway and smacked the loud peddle. She cam on full song and planted me in the seat then POP-POP!! power was abruptly cut which slammed my teeth in the windshield. What the hell was THAT! ... I turned around and headed home. ...clutched to stop in front of the garage and the engine died! ...I jumped in this evening and hit the key just to see what would happen and the starter just spins. I have followed your progress with alerts with every single post of yours. I have learned alot about problem solving from your posts -- and from others on this forum who have also chimed in with problem-solving recommendations. It has to be a labor of love, because the continued unpredicted setbacks, although always surmountable, have to be disheartening. And you do not even stress the car with racing! Cruel reality has smacked me straight in the face. Here you are, extremely highly equipped, with not only knowledge about Porsches and with experience working on them, but also with proper tools, lifts, engine stands, welders, machine shop, and the skills to operate them at a high level -- and with the luxury of having a business that is aligned with fixer-ing up your car. And yet, every casual drive you take must be wrought with a high level of anxiety, wondering what next will break down. I'd say over 95% of the Pelican forum followers do NOT have even 3 out of these 5 luxuries (Porsche knowledge, experience, tools/machine shop, tool-skills, and aligned business), and yet we still think we can master these cars to make them even into Sunday drivers! I'm slow to experience global-level epiphanies like this, but day-ummmm, reality has hit me and this is disheartening. 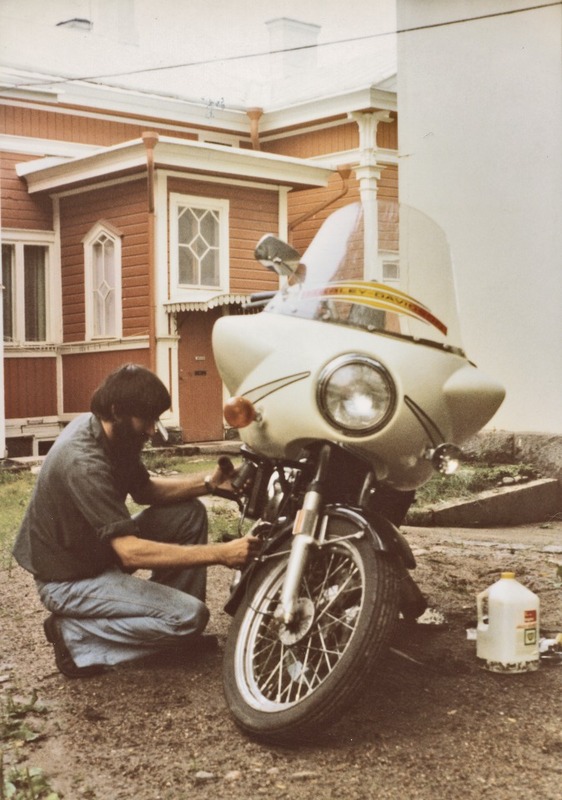 About 40 years ago (1977), I shipped a 1976 Harley (someone’s insurance write-off) to Europe to tool around on my own (this was well before there were organized and chaperoned motorcycle tours with a mechanic's van in trail). I carried about 30lbs of tools, parts, epoxy, even battery-powered solderer, some spare parts, etc., because I knew my Harley. I carried more tools than food or clothing. The only necessary tool I did not carry was CASH -- I was a med student at the time, living at the poverty/Food Stamp level. For several very hungry weeks, I drove and camped my way from Belgium, Holland, Germany, up through Denmark, across Sweden, ferried to Finland and up near the Arctic Circle, then back across to Sweden, Denmark, Germany and into Switzerland. The entire trip was not only wrought with continued and expected, but unpredictable, breakdowns, but also wrought with the associated accompanying CONSTANT anxiety, waiting for the next thing to go wrong. The only thing that the Harley never let me down on, was never failing to prove me right for my paranoia -- repeatedly arising to the occasion to show me that there was no end to the most outrageous thing that could go wrong with it. And in the subsequent student-level years, when I had 4 broken down Alfa Romeos in the back yard of my apartment, I carried AT LEAST 50lbs of tools in the trunk of the car, with spare parts including entire ignitions (points back then), and diagnostic tools -- all for which I actually experienced a need. Again, I was still a student - no money and no "other car" -- so I knew I could not afford a mechanic to fix my car, much less afford a tow back home. NONE of my other student-friends had the slightest mechanical experience to help, and most did not have cars to come save me. Everything had to be fixed roadside or out in the open in the driveway or the backyard. Again, those Alfas NEVER let me down in providing me with opportunities to be late for class, opportunities to baffle me, opportunities to amaze me with new problems, and opportunities to explore new ways to mangle the English language. I am absolutely positive that if they read all the way down to this point in this post, there are many others on this forum who will identify with these stories and have similar experiences. I can only think that you probably have that same anxiety in the seat of your pants every time you drive your car, keenly alert for every slight sound that seems out of place -- every rattle, backfire, quirk in the handling, and even cars honking at you (they might be trying to alert you that they see something going terribly wrong with your car). How many of you can relate to these things!!?? So, I'm thinking, again Day-ummm, if YOU have these continual problems, how in the world can I EVER expect to make my old Porsche into something other than a garage-bound outlet for artistic expression and creativity -- and a reliable source for exploring new ways to abuse the English, French, and Russian language. It might be time for me to finally conform and buy that showroom-new and warrantied Corvette or Lexus or Miata, or whatever the Hollywood go-fast clean-fingernail-crowd buys. Ahh, the serenity of jumping in the minivan, knowing that it will start, never melt down, and, YES, drive RIGHT THROUGH THAT POTHOLE! Who cares! The minivan is indestructible. It thrives on abuse, because, like a sled dog, it knows its sole purpose in life is to go to the auto parts stores to get parts for the Porsche in the garage. I think I better show the minivan some love and change its oil. Lot of truth in your statements. The situation with the gray slant is not necessarily one that the average 930 owner gets into, and the reason this thread exists. This car was horrifically neglected when I bought it. Literally drug out of a shed and thrown on eBay. In 30 years this car had seen ZERO maintenance. NONE. The condition was deplorable. My task is to bring it back to daily driver status. No small feat. The problem is I don't have a lot of time to devote to it. Yes I do have the skills and resources (thank the lord) or I never would have bought the thing. I am sharing my pain with you all as a testimony to what you can expect if buying a barn find. You had better get it cheap. Now the Red Rocket was a different story. I built that car from scratch. Down to the tub it went and I knew every bolt and nut on it. 100% rebuilt everything. I drove that car anywhere and everywhere for 15 years and it never let me down. If I had the time I would do a tub strip rebuild on the gray slant, that would be a wonderful thing indeed! But I don't have the time and I do really love the car. It's not the car's fault it had a crappy owner and I don't expect too much out of it just yet. We are inching forward and the ignition system was on my list to tackle next, it just beat me to the punch! As for the current problem, when the engine died the fuel pumps were still running so that negates the overboost switch or fuel system itself from being the problem. The BOV was stuck open when I bought the car so I added new gaskets (I'd say replaced them but they had disintegrated so there was nothing to replace). The distributor was a mess as well so I cleaned it an added new cap rotor and wires. The CDI is still original as well as the notorious green wire. Those are the lead suspects right now. Old cars. Like Brian said his was neglected. So who knows what's going on with some stuff. My personal experience - and not to take away from Brian's awesome thread - is that these cars can be super reliable. I put about 4000-5000 miles a year on my car, while admittedly newer (1991 964 Turbo) is still a 26 yr old air-cooled 911 Turbo. I would not hesitate to jump in and drive 2000 miles..3000 miles. or whatever. Right now. Replace parts with quality parts. Know your car. Listen to it. Feel it. Enjoy it. Replace parts with quality parts. That's one of the current problems that is greatly affecting the reliability of these machines; many of the replacement parts are proving to be garbage (for example, fuel and overboost system relays and CV joint boots) - not talking about knock-off brand components, either. It's definitely upsetting to spend over a hundred dollars on a relay that should cost about six bills at most, and have it fail after about 300 miles of use - and to read that many others have experienced the same. 930S is under a car cover until I can get to it. I did slap in the CDI from a '79 SC and it's still dead as a door nail. Guess the infamous green wire is next to check. Yes I have friends who drive their 930's everywhere without fear. Miguel with the Chocolate Rocket is one of them. He's driven over to the Tail of the Dragon and comes to Huntsville periodically. Had another fiend that drove the Dragon quite often to see what type cars he could push through the curves! He always came back with great stories of conquest. The Gray Slant needs to get to that place! Finally got a little time to look at the 930. Changing out the infamous green wire was on my list so I went ahead and did that as it could be the issue. Some idiot has run a wire to the rear relay, socket 86, that apparently goes nowhere. It may have been stuffed into the delay relay (which I removed and jumpered as seen in the picture). What do you think was done here and what is compromised? According to the shop manual socket 86 is 12V power, so if this relay was not getting power and they jury rigged it to get power from the delay relay then it is no longer getting power. What is the best way to wire around this mess and get my car started? I need to rip this backyard bull$hit out and do it over correctly. Could that have been some crude anti-theft scheme? Brown wire snipped, leads hooked up to a switch or worse, wire-nutted when needed? We removed a very complicated alarm system from the car shortly after I bought it, so I don't think this is part of it. This looks like some jackleg late night work around to get power to the relay. So now I have to figure out what caused the need for this brown wire. The schematic I have shows socket 86 as 12V but doesn't say where the 12V comes from, direct or switched power. Anybody know what feeds 86?